Pish Posh Baby’s Baby Jogger BLOWOUT! I’ve always had a bit of stroller envy when I see moms with a Baby Jogger stroller. Had I known how awesome they were years ago, I would have registered for one instead of the bulky travel system I never liked and used a handful of times. If you are a mom-to-be or a mom looking for a new stroller check out the amazing sale that Pish Posh Baby is holding right now! Nine of Baby Jogger’s top products are currently tremendously reduced in their year-end clearance sale! If you have never heard of Baby Jogger, they are the original designer and manufacturer of high preformance joggers and all-terrain three-wheel strollers. 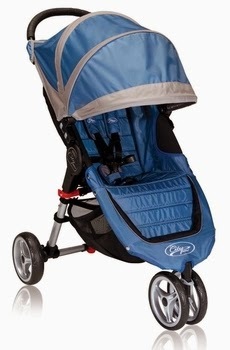 For over 25 years now, Baby Jogger has been the industry leader of strollers, known for their quality and functionality. The City Mini is currently 24% off and ships free! With quick-fold technology, it’s light weight and stylish! If you are looking for a stroller to grow with your child from birth to the toddler years, Baby Jogger products worth it! If you aren’t sure which Baby Jogger product is the best for you, take a look at Pish Posh Baby’s comparison chart of all of their products. If you still aren’t sure, you can chat right away with a Mom Expert on Pish Posh’s website! Check out Pish Posh Baby’s new Group Giving Baby Registry! Disclosure: This post has been sponsored by Pish Posh Baby and all opinions are mine alone. Pre-Order your Bugaboo & Baby Jogger 2014 Models from Pish Posh Baby! Pish Posh Baby’s Black Friday BASH! Starts 11/26 at 5pm!